Pictured: Naw Moo Day Wah, sixteen years after being shot by the Burma Army (see page 20 in the magazine for her story). On the cover of this year’s magazine is Naw Moo Day Wah, whom we first met after she was shot by the Burma Army in 2001. She was eight years old then and when we met her again in January 2018 she was married and had a new baby. “Will the Burma Army attack again, will I have to run again?” she asked. Two months later the Burma Army did attack and she did run again. A few months later, we met Naw Paw Tha, whose husband, an NGO worker, was gunned down by the Burma Army in March 2018. She is in hiding now with her seven children and no justice has been done. Instead, the Burma Army continues to build up its forces near where she and over 2,500 displaced Karen live in northern Karen State. We prayed with her in the jungle after her husband was killed and are helping her and her children. When we gave her a medal in honor of her husband she started to cry. This broke my heart and I asked God to help us. Over 25 years of working in Burma and still murders, shootings, and displacements like this go on. The Burma Army attacks its own people with impunity and there is no change in this. This is tragic and would seem hopeless except we know God cares and that the prayers of people change things. So, we continue to set aside the second Sunday in March as a day to pray for Burma. 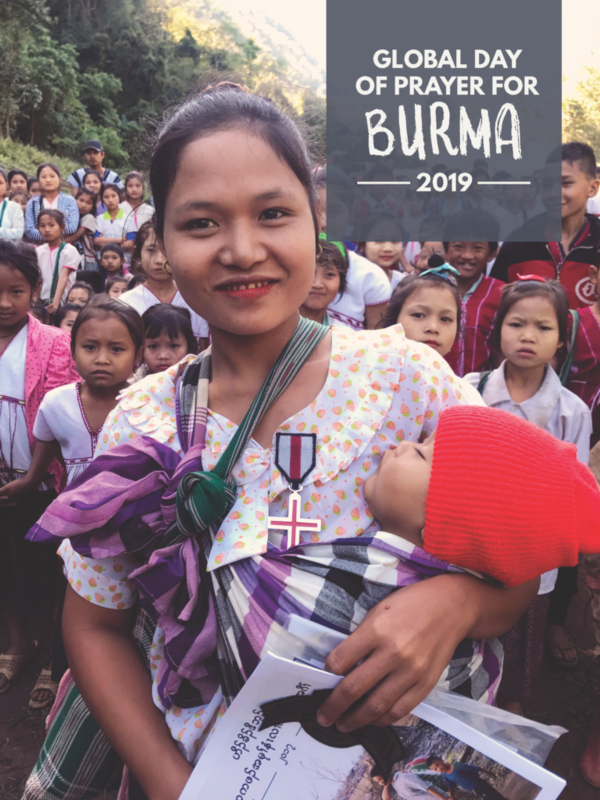 This year, people around the world will be praying for Burma on March 10. As you read this year’s magazine, please pray and ask God how to pray. Please pray for love over hate, justice over revenge, freedom over slavery, reconciliation over unforgiveness. Jesus gives us the power to do this when we ask Him. In the midst of evil and suffering, we do see God’s love shine through people as they choose to help each other in the face of great odds. God only has us do what He helps us to do. We do not have to and cannot help everyone, but we each can help those that God puts in front of us to help. It is the power of Jesus that enables us to help others and brings new life and hope for all of us.